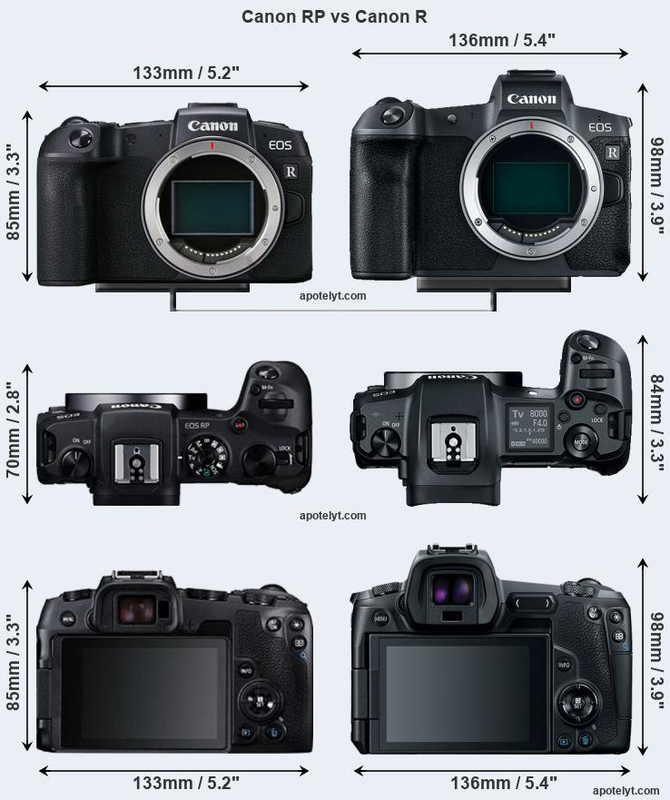 From the included pictures and specs, we can surmise that the EOS RP will be smaller and lighter than its predecessor. The new camera will purportedly measure 132.5 x 85.0 x 70.0mm in dimensions and weigh only 1.07 pounds. Comparatively, the EOS R is 136 x 98 x 84mm in size and weighs 1.45 pounds. That’s a heck of a lot smaller, but the shrinkage seems to have sadly eliminated the top LCD, which we felt was extremely handy for adjusting and glancing at the camera settings on the EOS R. Good news is the Canon EOS RP looks like it still will feature an articulating screen that flips out and turns forwards. Nokishita also reports the Canon EOS RP will feature a 26.2MP full-frame CMOS sensor, likely pulled from the Canon 6D Mark II. Given that potential tip, we can speculate that the EOS RP will inherit many of the 6D Mark II’s specs including the dual-pixel autofocus system, Digic 8 image processor, 5 fps continuous shooting mode and 100-40,000 native ISO range. According to another report from CanonRumors, the EOS RP might sport a price tag of $1,499 (about £1,160, AU$2,110) to $1,599 (about £1,230, AU$2,250). This potential price tag positions it as a direct competitor to the $1,999 (£1,899, AU$3,185) Nikon Z6 and $1,999 (£1,849, AU$3,099) Sony Alpha A7 III, which are currently the most affordable full-frame mirrorless cameras on the market. The Canon EOS RP’s rumored February 14th release date is nearly upon us, so we’ll know whether this camera is real soon enough.